I was born in the UK, Cippenham near Slough to be exact, and my family moved up north to Co Durham when I was 10 yrs old. I joined the RAF at 16 and did an Apprenticeship in Air Radar at Cosford. During my RAF career I converted to Flight Simulators and ended up in the computer side of that. I left after 12 years and joined a medical company servicing CT scanners, which I still do to this day. I still work for the same company but 28 years ago I moved from the UK to Delaware in the USA. Basically I have been fixing things my whole life, so If you wonder where I got the bug to fix things then look no further than my Dad, even though all this stuff was before I was born it was in the genes...and I was sneaking into his well stocked workshop from an early age. Lets face it, I didn't have a chance! 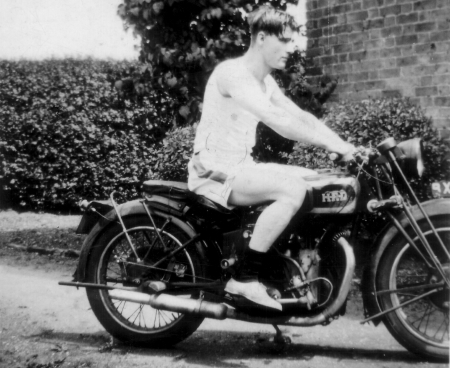 Dad was a big bike fan before the war, he claimed to have owned 26 different bikes ending up with a Vincent HRD which he managed to keep hold of even after he married Mum. 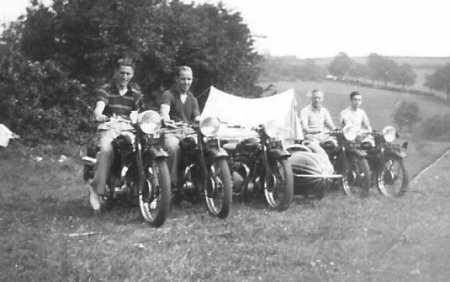 Here he is in the late 30's "scrambling" with his friends and what looks like a few BSA Motorbikes. 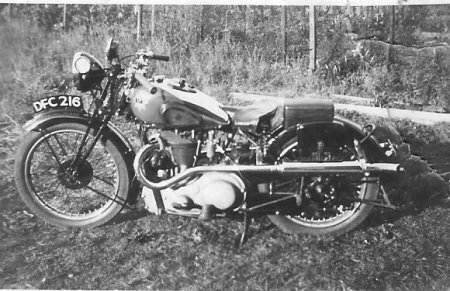 Dads bike looks to be a 1936 BSA Empire Star, he's the one on the left. 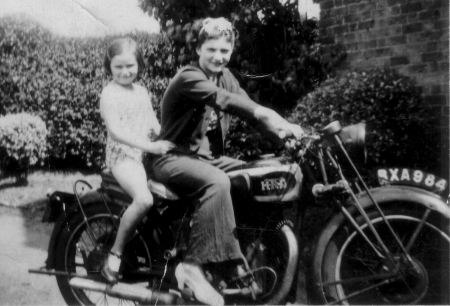 Below he is on the Vincent and the bikerbabes are my Mum and Aunty Doreen, They are in their 80s and 90s now! 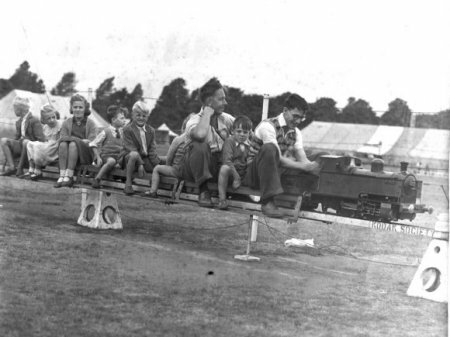 After the war he had to loose the Vincent and got an Austin-7 Chummy to fit all the kids- they must have been skinny kids!. 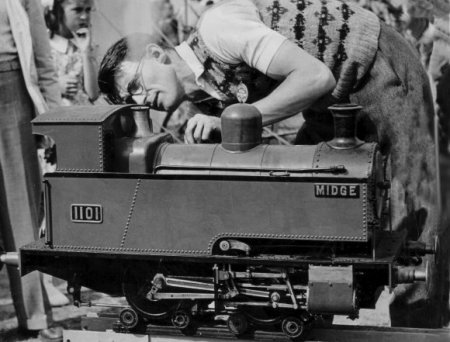 He then moved his interests to the railways and built "Midge" from scratch. Here he is with Midge on a riding day.